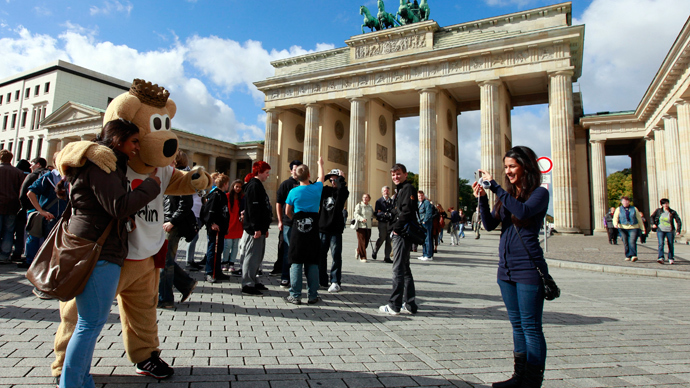 Berlin city government has decided to tax tourist hotel stays in the capital to improve the city’s finances. According to Associated Press, the 5% levy dubbed the "city tax" will be charged on overnight stays in hotels, hostels and other accommodation, excluding however business-related stays. It remains unclear how the authorities are planning to tell one type of visitor from another. The city government says it expects to raise 25 million euros ($33 million) a year from the new tax, and it will come into effect on July 1. The first city taxes started being applied in Germany in 2010, possibly in response to a the VAT rate reduction which left local authorities short of funding. The reaction to the initiative was largely negative. In July 2011 Munich's authorities attempted to introduce a €2.50 per person bed tax was never applied. Aachen, Bremen and Bremerhaven, Hamburg and Lübeck have already introduced bed taxes. In 2011 the governing coalition of the Social Democratic Party and the Christian Democratic Union outlined their intention to introduce the city tax in the capital in 2013. The German Hotel and Restaurant Association (DEHOGA) says it will file a lawsuit against the city tax. The statement on the association’s website says it doesn’t see the introduction of this tax as a “legally logical” measure. “The industry members can be assured that DEHOGA Berlin will do everything to prevent the city Senate’s action or, if that is not possible, act together with the hotels,” the statement says.